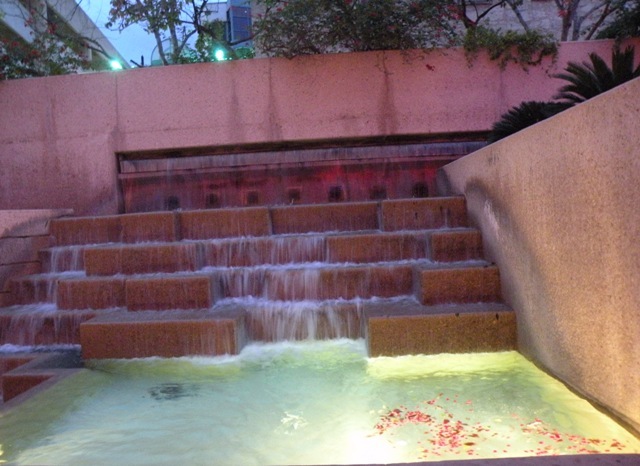 Have you heard of the ‘famous’ River Walk in San Antonio, Texas? By all accounts it is THE destination in San Antionio one must see when visiting the city. Naturally, we planned to visit the River Walk with our son while we were in town, after all, it’s open 365 days a year. Indeed, it is….however, what they fail to mention (until just before it occurs) is that one week a year they change the name from River Walk to…… Mud Crawl. Guess which week it was this year? Yup….last week. You know, the week we were there. We went any way. Hubby Dearest and I had to go without our Airman due to his being on town leave somewhat less time than originally planned. We entered by going down a few flights of stairs not far from The Alamo. It looked great, at first. The lighted cascade of water was the first thing we saw as we turned the corner from the first flight of steps and started down the second. It was lovely, with deep pink or fuscia Bouganvilla petals floating in the pool. 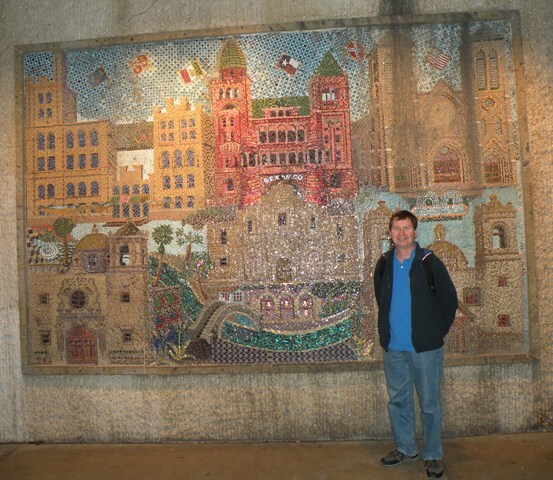 Further on, we found this large tile mosaic of the downtown area. 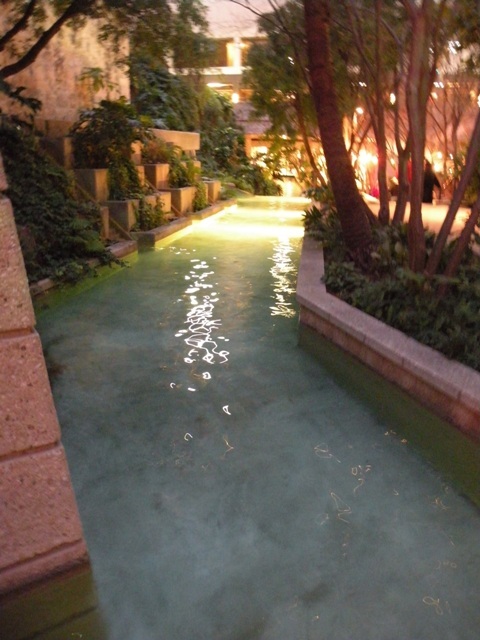 Then the path lead into an indoor shopping area which featured this pretty waterway. So far, so good! I thought, well, maybe they finished the maintenance a little early. After all, it is Saturday night, and they started way back on Monday…. But, as we stepped out the doors of the shopping area and into the proper River Walk, we discovered that no, that was not the case. The pretty little fountain and other water features we really part of a large hotel’s decor. Oh well. That first night, we chose to eat at the British Pub right at the start of the official River Walk area. 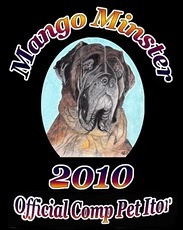 The MadDog featured inddor and outdoor seating with a fine view of the mud, real British pub food, and lots of tv’s tuned to football games. We had a nice time people watching from our perch on the veranda. 🙂 We finished up our meal with some very delicious Bread and Butter pudding. Sunday evening, when we returned to the River Walk, Hubby surprised me by agreeing to eat at, of all places, Joe’s Crab Shack. Dearest doesn’t DO seafood. 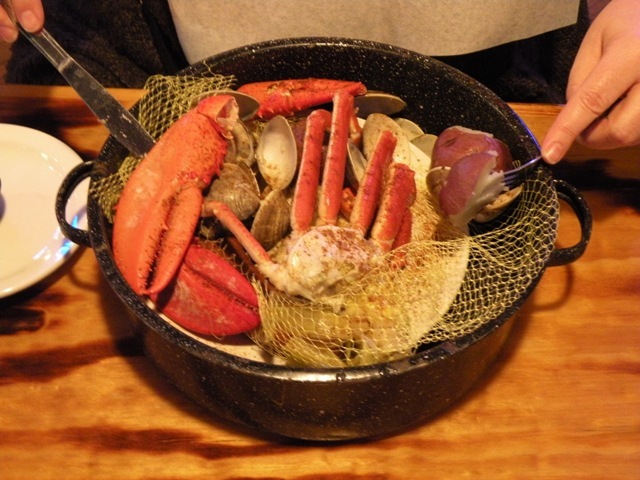 I took full advantage of the opportunity and ordered a nice pot of clams, crab, and lobster, served with boiled potatoes, corn on the cob, and a spicy sausage. Yum!! Dearest took advantage, too, and snapped this compromising photo of me all bibbed up and ready to partake. 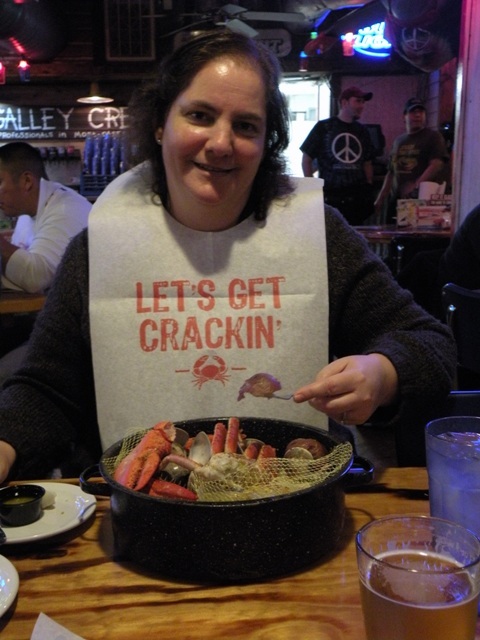 So there you have it…a tale of me, the mud, and Joe’s Crab Shack. Where do you go when you’re feeling crabby? I’ve never been to Texas. this makes me want to go. What a pity! I didn’t know the river walk had a down season, however brief. I need to double-check when I’ll be in that area, because I really want to see it at its best. Now, if you’re talking foul mood, I just want to go home and let my grrrls cheer me up.